WASHINGTON — Top U.S. lawmakers are threatening to pass legislation that would bar NATO ally Turkey from buying the F-35 fighter jet, and sanction the country if it buys the Russian S-400 air defense system, ratcheting pressure via a New York Times op-ed on Tuesday. If Turkey accepts the S-400, “no F-35s will ever reach Turkish soil. And Turkish participation in the F-35 program, including manufacturing parts, repairing and servicing the fighters, will be terminated, taking Turkish companies out of the manufacturing and supply chain for the program,” wrote the bipartisan leaders of the Senate Armed Services Committee and Senate Foreign Relations Committee. “We are committed to taking all necessary legislative action to ensure this is the case. Turkey is an important partner in the F-35 program, but it is not irreplaceable,” the lawmakers added. The letter targets Turkish President Recep Tayyip Erdogan’s decision-making calculus, emphasizing economic costs if Turkey loses co-production of the Lockheed Martin-made F-35 and geopolitical costs if Erdogan steps toward Moscow and away from NATO. The letter is also a signal to Erdogan that he cannot rely on personal diplomatic efforts by U.S. President Donald Trump, as Congress will stand in the way. Turkey’s minister of foreign affairs, Mevlüt Çavuşoğlu, last week called the S-400 “a done deal” and claimed that Trump has opened the door to keeping F-35 sales to Turkey going. The comments came as the U.S. has stopped delivery of F-35 parts to Turkey, capping months of warnings over the S-400. SASC Chairman Jim Inhofe, R-Okla., and ranking member Jack Reed, D-R.I., signed the op-ed with Senate Foreign Relations Committee Chairman Jim Risch, R-Idaho, and ranking member Bob Menendez, D-N.J. If there has ever been a public letter between these lawmakers, it’s rare, which underlines the high stakes for the U.S., which has been lobbying Ankara to reverse course and offered the American-made Patriot air defense system as an alternative to the S-400 since 2012. The letter acknowledges that U.S. air dominance hinges on the F-35 — “the world’s largest fifth-generation fighter aircraft program,” “with more than a trillion dollars in investment from a dozen international partners, including Turkey” — but the jet’s integration with the S-400 “could enable the Russian military to figure out how the F-35 operates." 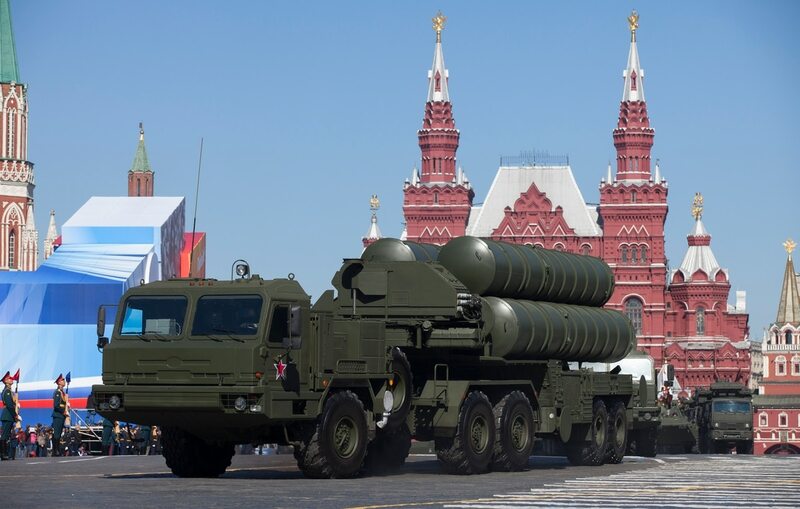 If Erdogan accepts delivery of the S-400, “Turkey will be sanctioned as required by United States law under the Countering America’s Adversaries Through Sanctions Act. Sanctions will hit Turkey’s economy hard — rattling international markets, scaring away foreign direct investment and crippling Turkey’s aerospace and defense industry,” the lawmakers warn. Among the “severe consequences” if Turkey abandons (or is forced to abandon) the F-35 program, its $1.25 billion-plus investment “will be squandered” and “it will not receive the more than 100 F-35s it planned to purchase, and it will be forced to settle for a less-capable fighter aircraft that will not arrive for many years,” according to the senators. They commit to “do all we can to assist Turkey” if Erdogan walks away from the S-400 and if Russian President Vladimir Putin retaliates in economic sectors where Ankara relies on Moscow. Putin, they say, “is trying to divide Turkey from the West with the S-400s."